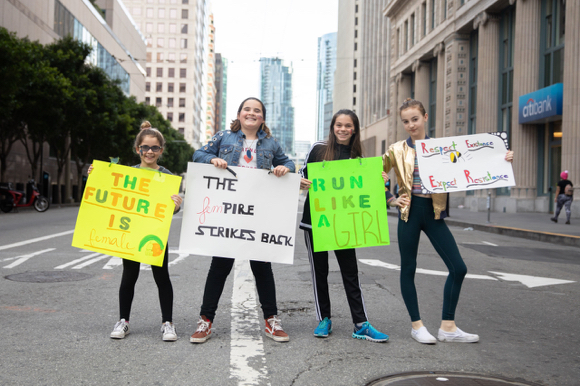 A group of girls from La Entrada School in Menlo Park (and their moms) participated in the Women’s March that took place in San Francisco yesterday. 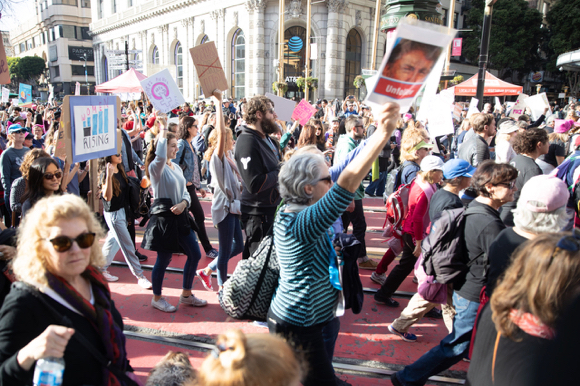 Reports InMenlo contributing photographer — and Ladera resident — Laura Hamilton: “Zoe Gostyla, a sixth grader at La Entrada, did an art piece about ‘heroes’ and included the women’s march. This spurred interest in the real march. So, she was the driving force behind the friends going to the SF March. In addition to Zoe and Lindon, Lucy Gostyla and Leah Bei participated. Side note: Laura is known as a baby whisperer for her skill at photographing newborns.